On Monday, December 22, 2014, the Red Sea Afar Democratic Organization (RSADO) issued a statement claiming to have carried an attack on the Eritrean forces in coordination with the People’s Democratic Front for the Liberation of Eritrea (SAGEM). Adi Khuala is a town located 90 kilometers south of the Eritrean capital city Asmara, and about 20 kilometers north of the Mereb River which is the natural boundary between Eritrea and Ethiopia. The two opposition organizations that attacked Eritrean government troops of Battalion 53 claimed their forces killed eight soldiers and wounded six other and returned to their bases with spoils of military equipment. Last week, the Eritrean National Council for Democratic Change (ENCDC) concluded its six-day meeting in Debrezeit, Ethiopia. The emergency meeting was called by members of the National Council to find a way out of the deadlock that disabled the NC from accomplishing anything of significance since its formation in December 2011. In a step that is considered the first ever in the history of Eritrean politics, on December 20th, the fourth day of the meeting, both the leadership of the council and the executive committee resigned collectively to clear the way for the upcoming congress and for an interim leadership that came out of the emergency meeting. The second congress is expected to be convened in early summer of 2015. Haj Abdenur, chairman of the council. Meanwhile, on Wednesday December 2, 2014, Dr. Habte Tesfamariam, the leader of the Eritrean National Salvation Front (ENSF) met Dr. Tedros Adhanom, the Ethiopian foreign minister, in his office and discussed several issues that concern the Eritrean opposition in particular and Eritreans Ethiopian relations in general. between Administration and the state. and go but a state stays for ever independent. Just a constructive criticism and my opinion. My Mom calls her brother-in-law/my second uncle ” Shumay”,to express her appreciation to him for his kindness and truthfullness. Thanks for your feed back.But,I could NOT understand your technical English though, as the only technical EnglishI I might understand better is,” Evidence Based Medcine” related English. He perfectly addressed Eritrea as a Unique Nation,and Eritreans as a Unique people. I care less about the politicization of the Article with PFDJ or the GoE. If we deny that FACT about Eritrea and Eritreans,–well,we are beyond Hypocrits,with an APOLOGY! My vote goes to Abboy Mahmud as Awatista of the year. I also believe Dejen Ande Hishel deserves Eritrean man of the year. What do you think? Yes,Pilot Dejen Ande Hishel is,indeed,the PERSON of the year. Teg/Vet –is already endorsed as the Awatista of the year. Do not expect anything good from these people. 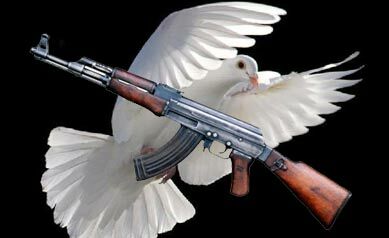 We need not one who kills human beings but gives life to human beings. It is a barbaric act. Rodab: the regular ‘readers views’ column contributor for Haddas Ertra and Shabait (although his actual notes are transmitted from here @ AT 🙂 could be main presenter/host for “Hizbin contract zeyblu mengistn” mini program. All of the PFDJista: horror movie enthusiasts and its box office fans. You buy Badime, you get assab free. You see it is easy. I want them both in one package delivered before ethiopian Christmas. My Christmas tree is missing some ornaments. They look better on my tree than on a shelf. melkam Ghenna yenie wendim or Ehit? Aseb and Baduma were bought at the price tag of 100,000 precious Youth. Do NOT insult our Martyrs. * As a condition of his nomination to be awaitista of the year (if we had the award in 2013, Haile TG would win hands down), Mahmouday has agreed on two things: (a) he will pray for the defeat and destruction of the Seattle Seahawks and (b) there will be NO sword dancing ceremony in the after party. Look at you now, you attached conditions at the end when the momentum has begun gathering! That’s a typical American, enticing offer with big letters at the front at and blue print where unsuspecting poor maHmudays could not see, way down at the bottom, and you think awatistas the greatistas will accept your condition! Condition 1= rejected, the Seattle Seahawks are just amazing; they decimated your 49ers, and they are doing well. O God Almighty, on this Christmas day, I beg you to have Seahawk defamers change their hearts. Condition 2= Rejected; I could not visualize my bad friend Semere setting up anything other than the sword dance for the award ceremony. But hold on, my ten years old smarty suggests “Sponge Bob Square pants” show just for you. The Seattle Seahawks are a good team, only bested by the machine (Patriots), America’s Team (Dallas Cowboys, look I am just as surprised as you), the Pedigree (Steelers), and…four other teams. We are retiring brandishing swords at dances as a relic from days gone by. We will have it displayed at expos and annual Nations and Nationalities Days (when Weyane style government is installed in Eritrea.) In the mean time, the great Tigre people will be using harmless wooden sticks (or sponges) at their dance ceremonies. By the powers vested in me by the democratic coup of Abu Dunya, this Proclamation No 2014/12-24 is now published in the Awate Gazette and is the law in the State of Awate. It also outlaws spitting on bills, sticking it on the forehead of the unsuspecting artist, and then blocking our view of the artist because the spit-sticker thinks his puny donation entitles him to share the limelight with the artist. How if we add the enigmatic Tigrigna dance where a woman balances a bottle on top of her well braided head (let’s make it water bottle this time) and doing her Kuda? I nominate for that role your good friend Hayat. To add to your suggestion, and this is done under the spirit of holidays, I would assign Nitricka to MeQele as a special envoy or Consular Officer to Region (ክልል) I (not demoting him from Ambassadorship, but because of the regions importance and because he would be able to get answers to questions that have haunted him for ages regarding dedebit and the famous AdiGrat . Of course, Asrat Gebru is the Governor and abi the lieutenant. I bet he would send all his spies to AdiGrat. Nominating Teg.MaHmud Saleh For The Awatista Of The Year Award. As a few days remain of this year before both its eventful and non-eventful events slowly fade into the deepest recess of our minds, I would like to nominate MaHmud Saleh as awatista of the year. This is not to balance my comment of a couple of days (a comment that prompted a friend of mine to jokingly dub me Semere Rooney) that split MaHmud into Dr. MaHmud and Wedi Saleh. In fact the first part of that comment was supposed to be part of this nomination, but while typing away I read his comment and hence it ended up becoming what it became. We were blessed with MaHmud Saleh since he showed up sometimes this year and instantly became a prolific and insightful commenter, so much so that unbeknownst to him one of his comments ended up in the front pages of this website. What makes MaHmud unique is his background as a former freedom fighter, who is steeped into the pragmatic aspects of the struggle and grounded in its founding principles. Although many Eritreans including your truly believe that the founding principles have being hijacked way in the budding stages of the struggle, MaHmud shields that part and squarely attributes the blame on EPLF post-independence or when PFDJ turned into monster to use his own words. I still disagree with that as it is discernable from my debates with him, but that is belief is no a showstopper for receiving that award. You may remember lately the jokes between some awatista addressing each other as Abu Noah and or Abu Adal. In the summer in a playful and mutilated Tigrayit poem (Em Biddho, benduqeche habini: mother of Biddho give me my gun) I referred to MaHmuday as Abu Biddho. This joke had two purposes, MaHmud and I had good laugh about it. Since I did not know the names of his boys, I hazarded a guess that most likely they will be named after some Eritrean landscape and the double meaning was Teg. Mahmud was himself Abu Biddho (Goita Biddho). Not only is that, he is also Abu Fernelo, Abu Awget, Abu Homib and Abu Lokayb. I believe he is a unifying figure and not a divisive one. I am of the opinion that he deliberately omits certain ugly past out of responsibility that it is better if left to history and that telling it today is not in the best interest in the democratization process of Eritrea. And for these reasons, Teg.Mahmud Saleh is my nominee of the awatista of the year. I ask for your support by either seconding it in a comment or up voting it to send a message to the committee that Teg. MaHmud has the people’s support for this award. Unlike President’ Obamas Noble prize that was given to motivate him to live up to his eloquent promises for world peace, this award if won would be given to a promising awatista. Thanks for reading my mind and,rest assured that,Vet Mahmouday has,NOT only been nominated as such,but has been confirmed as such–,repeatedly…by me and most Awatista. I double vote for this NOMINATION! A belated Merry Christmas to the Christian Awatistas and a Happy,Peaceful and Prosperous 2015 to all Awatistas/Eritrea and Eritreans. I also give my vote as man of the year to ex-EPLF tegadalay Ato Mahmud Saleh for his mature, rich, and educational commentaries at Awate Forum. Mr. Saleh has shown time and again his unwavering support for the well-being of the Eritrean People. I see Mahmuday as one of the thausands of tegaldelties who have seen their dreams for a democratic, just and prosperous Eritrea evaporate, because of the unlimited trust they had placed on an individual, who exploited and misused this trust to serve his own evil agendas. 2. There is only one female in all three groups, i.e. Council Leadership, Executive committee and preparatory Committee. What a representation! If you have a problem with one female being part of the “politicial related” then it seems you have been influenced too much on Western femenist ideology, god forbid this mindset will not be exported to our motherland. It does not belong to Eastern culture at all! It is you who needs to wake up and realize that women are one half of Eritrean society in particular and the human population in general. Whether you like it or not you will have to work with women on your side not behind you if you want to move forward. There is nothing like Eastern or Western culture. Human being is human being anywhere in the world. Our female compatriots have the right to participate in issues that define their families and their country. We need to encourage for the opening up of spaces for them. When we say inclusiveness, it also includes the accommodation of women, the young population and other segments who find participating in political activities intimidating due to, may be, lack of education and economic resources. PFDJ can not be defeated without the full participation of women and the youth. So the recognition of women’s role is not western or eastern, it’s a human right’s issue. Selam Ali, Women are half of the society, fair and equal participation is a human rights issue. No democracy or peace can be prevailed marginalizing half of the population. What is the change we want to achieve then? Therefore, it is fair to raise our voice against the unfair representation of women in the new NCDC or so called Preparatory Committee . No such thing as Western or Eastern feminism, women are now raising everywhere and in particular in Africa and the Middle East where culture and religion is used to control social economic and political participation of women. Equality benefits the whole society, Haw Ali I hope you reflect on this and take it in a constructive way. Dear Sarah Ogbay, Ajokhi, we are watching with you. Thank you haw Mahmud Saleh for your input on this. You remind me a joke. I don’t know where you live but one thing I know is you are still in 12th century. That is so funny. This was the best jock I read and longest lough I had at Awate forum. I’m glad you liked it. The best jokes I heard are from derg era . When you are so suppressed it is the way to communicate or vent . We heard the news on voa the night before, the joke was circulated the next day. Another funny joke about the Dergue was soon after the announcement on the radio that farmers should sell 20 eggs to the Birr. A week after this, I went to lake Qoqa one Sunday morning. As we used to do, seeing people who sold eggs by the roadside, I stopped to buy some. I asked one of the farmers, how many eggs for one birr? He said 5 eggs. (A week earlier, it was 10 eggs for one birr). I told him, haven’t you heard the new directives by the government that you should sell 20 eggs for one birr. His answer was, haven’t you heard the new joke in town? Surprised as I was, I asked what it was. I couldn’t believe my ears that these words were coming from the mouth of an ordinary farmer. Please write it in English . Right now I don’t have access to Geez and I can wait. I will pay you with another joke. It was in the same visit Mengistu was doing what he does best. Slogan. But this time the wise farmers cut him short. The joke was “Derg yaskakal inji, inkulal ayTilim” or “the Dergue can squawk like a hen, but does not lay eggs”. Thanks Awate for the update. This is what we were missing, the role of media in our fight against the rogue leadership in Eritrea. While the top generals in the throes of their worst corruption creating Eritrea’s political cannibalism and Isayas so weak sticking to his survival cannibalism, the Eritrean kids and children are being put in peril facing the threat of “your life or your families’ monies” promoting their runaways to the awaiting wide open crocodile’s mouth while crossing the border. Now I see why awate.com always pushes for ENCDC and went as far as advising members of ENCDC not to accept new members such as self his bike. This is just for selfish reason to maintain majority. Any kind of dominance either by Christians or moslem Is Un healthy to eritrean politics. Not fair, bro. Most of the “new members” applying to ENCDC are “moslem” organizations, so that was not our point, really. Our point was that the fragmentation has to stop at some point and consolidation must begin. Yes, we agree that “any kind of dominance either by Christians or Moslems is unhealthy” and we implore the ENCDC to be extremely vigilant and leave no stone unturned to have an organization that resembles Eritrea and is a microcosm of Eritrea. I cannot tolerate this/being reserved. -The EFND(the recent Virginia Meeting) did its best to be inclusive but its effort was hijacked and sabotgaed/boycotted.. I do NOT need a duplicate,defensive and “threatful” response –like that of Ustaz SJG,which i will send my final respopnse to, soon but your own independent and rational response and analysis. Can we work hard to bring these entities closer to each other ? It is time for you to write a decent and neutral Article as to how to resolve our difference/those of the so called Opposion Groups case by case without finger pointing to any one of them–but just pin-pointing the obstacles and their possible solutions. I am not in the business of “Defamation” or criticism but I am spitting up my gut-feeling and naive opinuion.I wish I could have an access to a a private and direct conversation with the parties involved but since I do NOT have one,I have NO choice but to throw away publically what I feel. Don’t ever question the noticed of the High priests of the opposition, just fall in line :). through Assenna and FB, there is news about a clash in Shegerab refugee camp.